The Thermo Dynamic LMD Direct Vent Oil Fired Boilers are a premier seller of the Thermo Dynamic inventory. There are 3 different models in the LMD Series; all three models have been approved to be installed horizontally through the wall venting. Before you install the LMD Direct Vent Oil Fired Boilers, make sure that you have the recommended clearances of 2″ from the sides, 2″ from the back, 12″ from the front and 9″ from the chimney connector. The Input Rating of these boilers ranges from 105,000 BTUH to 154,000 BTUH. The Net IBR Ratings are 78,500 BTUH to 111,800 BTUH. These oil fired boilers have a Department of Energy Rating of 83% to 85% AFUE. Some of the standard features that come with the LMD Direct Vent Oil Fired Boilers are the Flush Jacket, Delayed Oil Valve, ASME Rated Relief Valve, a Built in Air Scoop and an ASME Coded Boiler with a swing away door for easy access for inspection and maintenance. The LMD Series are equipped with a Ceramic Fiber Combustion Chamber, a Temperature and Pressure Gauge, a Taco 007 Circulator Pump with a Beckett AFII Burner. You can have your choice of the Beckett Burner or from a Carlin or Riello Burner. All boilers are factory assembled, wired and packaged all ready to be installed when they arrive. Each boiler is required to have a separate intake and exhaust for the direct venting, There are 3 direct venting kits you can choose from, the first is a Direct Vent Kit 5″ NP x 10 ft (281030), the second is 5″ NP x 15 ft (281040) and a 5″ NP x 20 feet (281050). There are also some optional parts that you can choose from a Boiler Stand, a Bronze Circulator, a Plate Type Domestic Coil or 60,000 Duct Coil or a 105,000 Duct Coil. 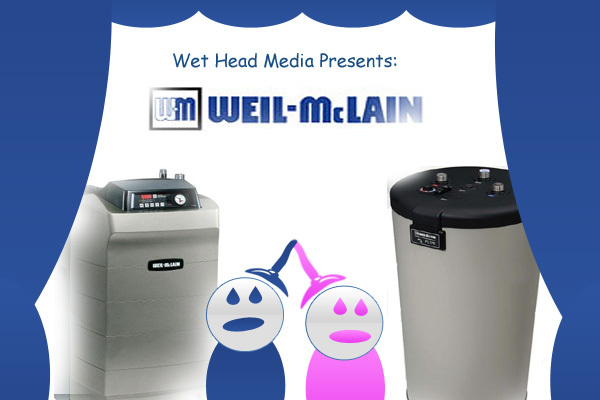 The water volume of the LMD Series has low 5-1/2 gallon water content but it gives the maximum heat and hot water delivery in just minutes from the time you start up the boiler. 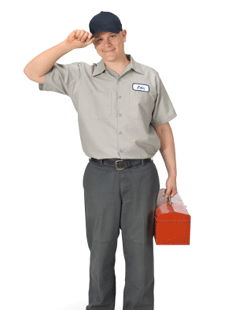 The low mass will reduce the heat that is loss when a boiler is on standby. 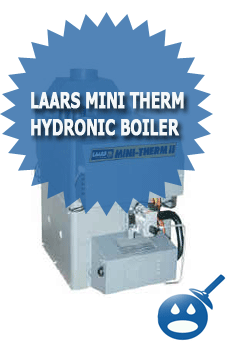 The Thermo Dynamic LMD Direct Vent Oil Fired Boiler has a Limited Lifetime Warranty. Other warranties sometimes cover a very small part of the cost of the new boiler only after the 15th the year you have the boiler. But Thermo Dynamics offer replacements cost are not more than 50% of the replacement boiler list price. This is the best warranty around. The Thermo Dynamic LMD Direct Vent Oil Fired Boilers are easy to clean and easy to maintain. The boiler parts are easily accessible to the combustion area and the open tubes in the boiler make it very simple for the tech to come in and clean out the boiler. All you have to do is remove the 8 brass nuts and the boiler access panel is removed. What can be easier? I have a new home (2 years old) in PEI Canada, it has a direct vent furnace. When we have a snow storm the snow drifts over the vent and the furnace stops. In the middle of a blizzard I do not want to go out and dig out the vent, is there any way to put the vent higher or cover it , the builder of the house tells me no. I believe this is a fairly new way to put in a furnace around here and I have talked to a number of people who all have the same problem but no solution. Thank you for your time, if you have an answer I would appreciate hearing from you.